Need some socks? 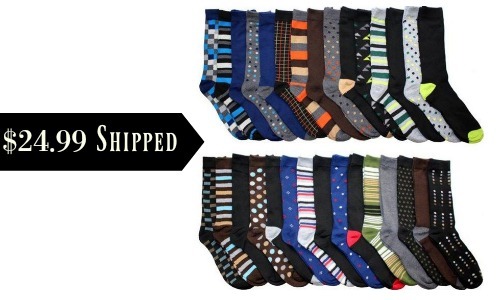 Tanga is offering 30 pairs of John Weitz Men’s Casual Dress Socks for $24.99. This makes it 83¢ per pair! There are several colors and designs so the man in your life will have the perfect pair of socks for any occasion. Grab some for stocking stuffers!